GetUp! - The dodgiest deal in town: will you add to the submission? The dodgiest deal in town: will you add to the submission? The Turnbull Government is desperate to bring back the TPP – Let's make sure it goes straight back in the bin. Right now, we're putting together a submission to the Senate inquiry into the Trans-Pacific Partnership (TPP) deal – and we need your help. The Senate inquiry won't be able to ignore a submission with thousands of comments from everyday people voicing their condemnation of this corporate power grab. Can you take a minute to tell us why you want the Senate to block the TPP? With your help, we can show the Senate that they need to stick up for our rights – not those of the multinationals undermining our politics. The TPP11 contains many of provisions that are dangerous or unethical, and the secretive process of negotiating and signing this deal was hugely undemocratic. The public was not allowed to see the text of the deal until after it was signed. Thanks to the Investor-State Dispute Settlement clauses, corporations will be able to sue governments for creating regulations or legislation that damage their profits, even if those regulations are essential to protecting our jobs, health, and environment. Think of petro-chemical corporations trying to reverse health regulations that stop dangerous additives, or coal companies sueing for legislation that protects the Reef. Governments don't often win ISDS cases, and they often cost many millions of dollars. Global pharmaceutical companies are gifted longer biologic patents that prevent or delay the manufacture of cheaper generic medicines, and curb subsidy programs that keep medicines more affordable in Australia and elsewhere. Imagine having to pay $50-$100 - or more - for a simple asthma inhaler. That's the average cost in the US, when they currently sell for less than $10 here. Your internet service provider could be forced to spy on you and dob you in for possible copyright infringement. We all know piracy is illegal, but this treaty gives multinationals the power to pull strings that could make heavy-handed spying, fines, internet service disconnection and even criminal charges the norm for even the most minor and potentially unintentional infringements. And what about privacy? 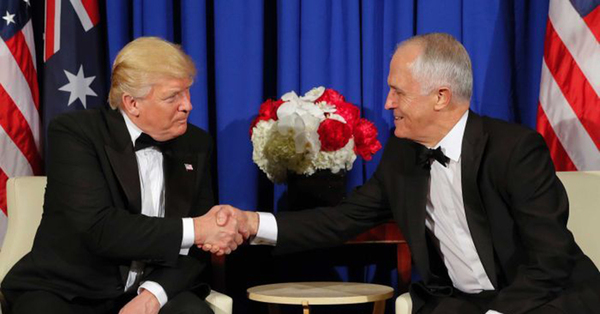 The revised TPP11 deal might appear to be an improvement on the original, because some of the intellecual property and copyright clauses have been 'frozen' – pending the reentry of the US. But given that Trump could backflip at any time, these provisions are as dangerous as ever.